The Dubai Airshow began life in 1986 as Arab Air. Since then the show has grown and evolved to become one of the largest and most important aerospace events in the world. The Dubai Airshow 2015 was our biggest show ever with 1,103 exhibitors from 63 countries, over 66,346 trade visitors, 1,296 international and regional media and an order book of $37.2 billion. The Dubai Airshow returns in 2017 with a number of new features to complement the existing show; including the UAS Summit, Space Pavilion, Cargo Zone and Airport Solutions in addition to the fourth edition of GATE - the Gulf Aviation Training Event. 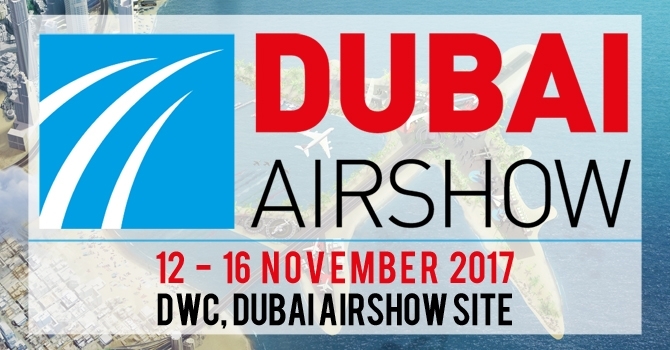 The show will once again welcome visitors, exhibitors and delegations in their thousands to Dubai – the world’s global aerospace hub.